This project began with a strong desire to achieve a high level of energy efficiency in a modest footprint 3 bedroom home. 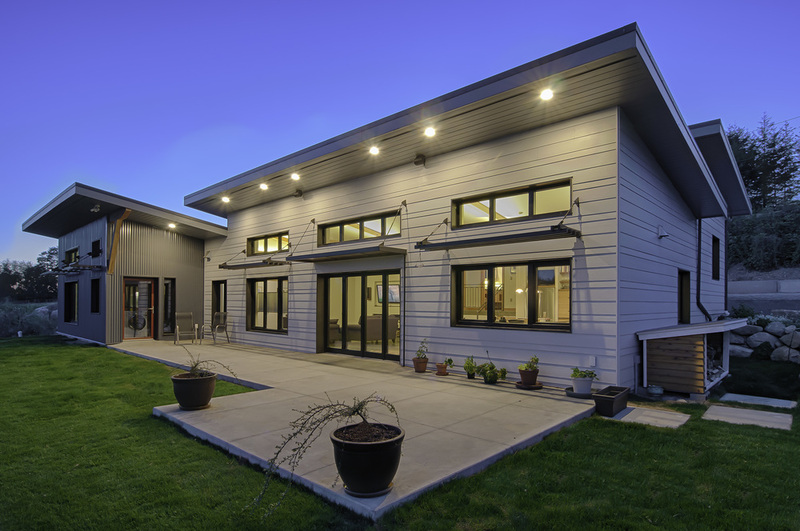 As a NetZero home, the building produces on site the same amount of energy as it uses in one year- resulting in a net annual energy usage of zero. To achieve this goal, space heating demand was reduced through a careful analysis of the program and how it best related to the site, resulting in a compact and efficient floor plan which maximized views to the valley below and capitalized on the solar heating potential of the ample south facing glazing. Great care was given to selecting the high-efficiency technology which powers the electric lighting, kitchen appliances, and air circulation equipment. 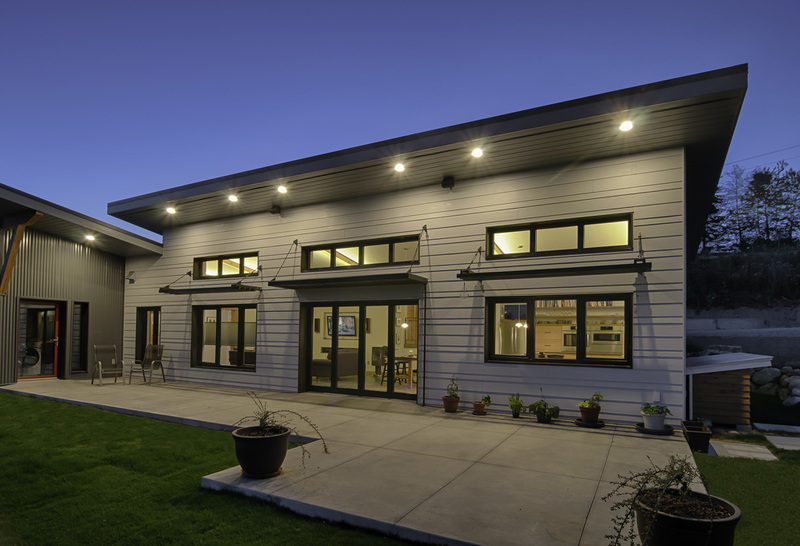 These systems work in tandem to reduce the overall energy consumption of the home through features such as occupancy sensors and an intelligent home automation platform. Heat loss through the building envelope was greatly reduced through a super insulated double wall exterior envelope system with further thermal bridging and heat loss being reduced through advanced framing techniques and exceptional air sealing.